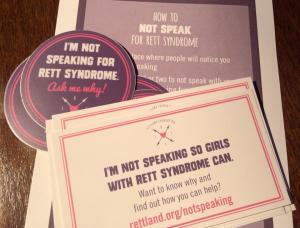 “Rett Syndrome is a rare genetic disorder that primarily affects girls. It limits how the synapses in the brain connect. This leaves them with severe motor challenges. Most have little purposeful hand use, are completely non-verbal and require assistance if they can walk. Along with the severe apraxia comes scoliosis, seizures and GI issues. Not every child with RTT has all of those however they are common across the population. Girls with RTT like Claire are born healthy and develop typically for the first year. We had no idea that anything was amiss until she was 14 months old. After batteries of testing, blood, urine, MRIs she was diagnosed 2 weeks before she turned 2.
pictures like this one show the depth and longing to communicate…can you guess which of these days was full of seizures? 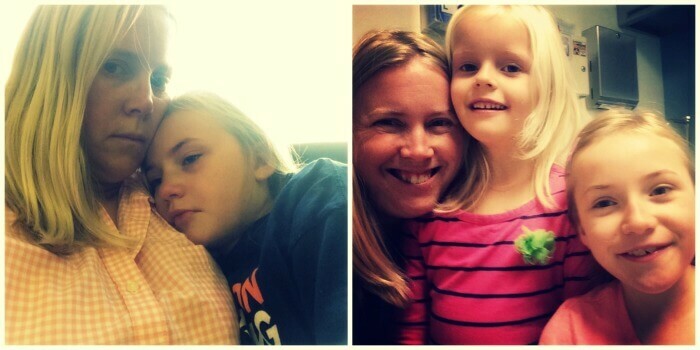 “Chloe: I think Claire is the Queen of Rett syndrome. What price would you pay to hear your little girl say ‘I Love You’, to have her wrap arms around you for a hug? What price would you pay to hear your daughters laughing together, fighting together, sharing secrets?